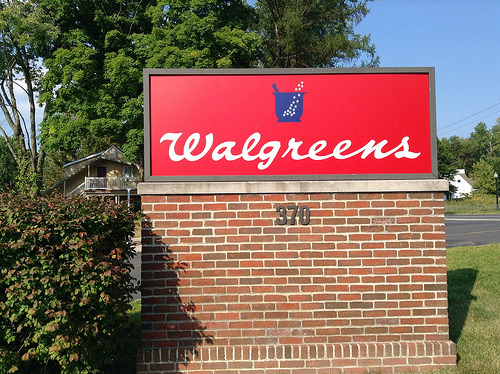 Health Costs > How Much Does a Walgreens Physical Cost? An annual physical exam can help ensure that the person is healthy and is physically prepared to take part in specific activities. During the exam, the health care provider reviews the person’s complete health history and makes sure that they are up-to-date with the current immunization recommendations for their age. Patients can get a physical exam at select Walgreens drugstores, specifically at its walk-in Healthcare Clinics nationwide. Currently, there are more than 400 Healthcare Clinics located at Walgreens across the country. How much does a physical cost at Walgreens? The regular price of a physical at Walgreens can range anywhere from $35 to $75, depending on the type of physical and if insurance is involved. These are the prices without any insurance coverage. If you were to use your insurance company, Walgreens may or may not accept it, depending on the policy. According to Walgreens official pricing sheet, a camp, sports and/or annual school physical will cost $49 or $39 with a coupon if one is available. An administrative physical at Walgreens can cost $75, while a Medicare wellness visit is $0. During a physical exam, a health care provider studies your body to determine whether you do or do not have a physical issue. This generally involves taking the medical history – an account of symptoms as experienced by the patient. Alongside the medical history, the physicals aid in determining the right diagnosis and devising a treatment plan if one is required. In addition, a physical examination usually includes a body inspection (looking at the body), auscultation (listening to sounds), palpation (using fingers or hands to feel the body), and percussion (producing sounds, by tapping on specific body areas). An annual physical may also involve monitoring vitals such as weight, cholesterol, blood pressure, and other markers. Most full physicals are performed just once a year in a physician’s office. Physicians use a physical exam to determine how the body is performing. Based on the test results, personal health history and age, it is a chance to discuss future prevention measures. The Healthcare Clinics can be found at some select Walgreens Pharmacy locations, and to find one, you can use Walgreens official search engine. There is no appointment needed for a physical exam at Healthcare Clinics, and most locations are open seven days a week. The Walgreens physical is staffed by either a nurse practitioner or physician assistant. People with a family medical history of heart disease may need to receive additional blood pressure checks, cholesterol screenings, and/or blood tests. Additional charges apply for the labs, screenings, and tests if performed alongside the physical exam. Patients who require extra physical forms to be completed are often charged an extra $15~ at the time of visit. If the physical reveals that something is wrong, you may have to visit your family doctor for additional tests. When additional imaging tests or screenings are recommended, some may need to be completed at a hospital or imaging center. Blood test draws can be performed at the physician’s office before the samples are sent to a laboratory for analysis. Make sure you check with the organization that is requiring your physical. There are some places that want you to use their physical form rather than the generic one that clinics use. Walgreens, from time to time, will offer special promotions and coupons that you can use. Either check the official website or search online for any deals. There are group discounts for sports physicals available. If you are covered by a health insurance policy, you will only pay the co-pays of as low as $10 depending on the insurance provider. If you do not have a health insurance policy or are looking for a new one, consider browsing through hundreds for free at eHealthInsurance.com. You can also take part in Walgreens prescription savings club network in order to receive discount cards which entitles you to a 10% saving at all clinics. A Walgreens physical can be much more convenient than having to wait to get into your regular doctor’s office. Also, it is much cheaper since a normal doctor’s office exam of any kind is around $100 or more. By simply going, even without a coupon, you’re probably saving money already.